Honoring the life of your loved one means you value the relationship you shared. We look forward to helping you decide how to celebrate that bond, and honor the unique individual you've lost. 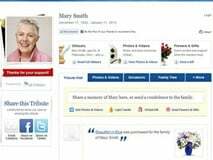 We can make suggestions to enhance your tribute ideas. Whether it is The custom made Memorial Tapestry, Releasing of Doves, Butterfiles or ballons. At Zanders Funeral Home we are "The People's Choice" and we can tailor your desires for a lasting tribute. Together we will create a fitting and memorable event. Contact us today to discuss the possibilities. You knew your loved one better than anyone else. We’ve got years of experience and great training . 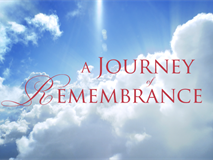 Together, we’ll design the perfect memorial or funeral Celebration for your loved one. If you're ready to discuss the options, or simply have questions about our services, please call us at (407) 886-3388, or send us an email inquiry.